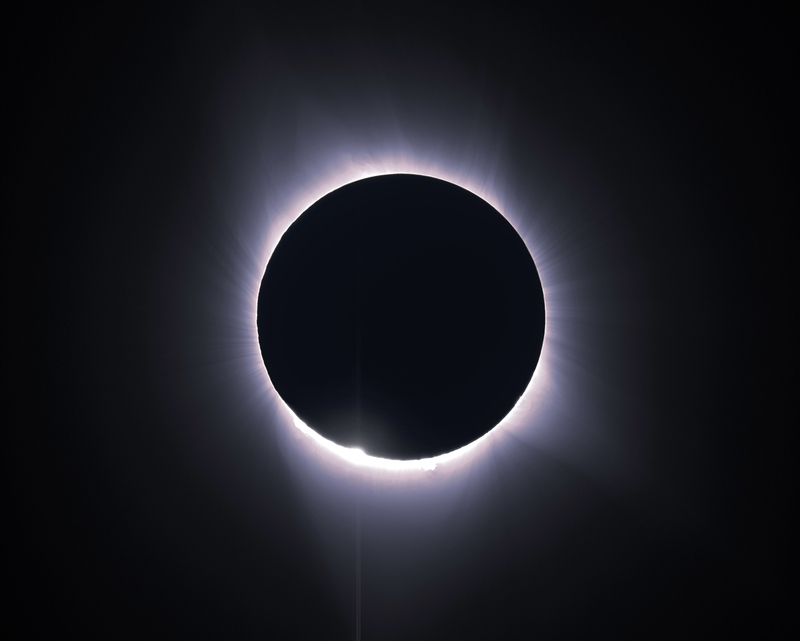 As I looked through the video taken during Monday's total eclipse from southwestern Kentucky, I noticed that the last frame in one video stream captured the return of the sun through a single lunar valley - one tenth of a second from the final moment of totality. The time stamp of this frame is 35 seconds past 1:25 CDT. The prominence seen as a bright splash to the right of the returning solar disk was actually a faint gossamer splash of hydrogen plasma. It can be seen in more detail in this image.